Thank you for your enquiry. From what you have said it would appear that your current mattress is too firm in the upholstery layers (also known as the comfort layers) and possible has incorrect spring tension. At your body weights, we would pair you both with a medium spring tension to give you both the correct level of support. The upholstery should be determined by your comfort preferences and sleeping habits. We would not recommend anything too firm in the comfort layers for side sleepers as this can cause the pressure pain you are experiencing. Comfort layers that are too soft when sleeping on your front can cause your back to arch and cause lower back pain. In our Origins synthetic fibre range I would recommend the Origins Pocket 1500 which has a medium spring tension as standard and medium comfort layers which have a slight sink but not too much. In our Artisan natural fibre range, I would recommend either the Artisan Naturals or the Artisan Bespoke 004. 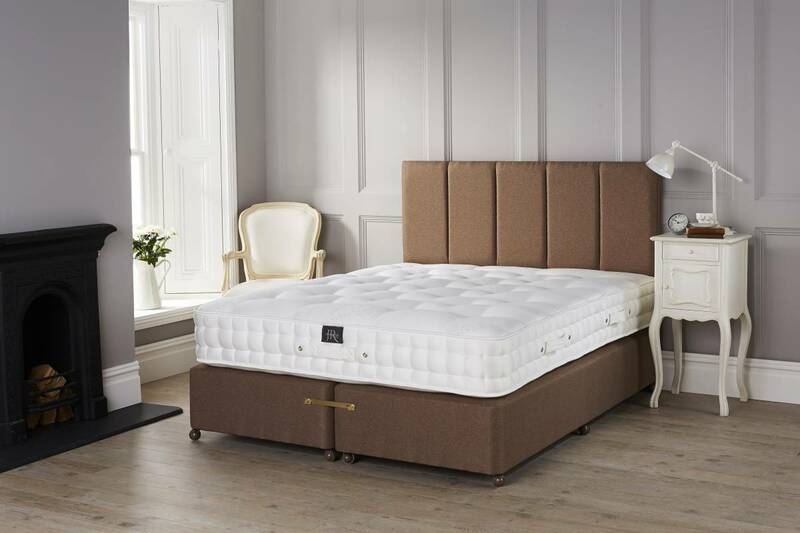 Both or these medium feel mattress have calico pocket springs which can have the tension selected to suit. The main difference is the natural fibre content, the Artisan Naturals has 85% and the Artisan Bespoke 004 is 100%.